On October 15, some idea generators (engineers, strategists, etc.) 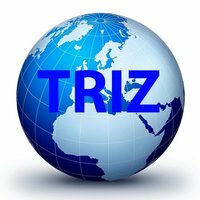 celebrate the birthday of Genriсh Altshuller (inventor of TRIZ) and Global TRIZ Day. His methodology could be beneficial to the problem solvers who deal with problems relating to technology, scientific, social, environmental, political, etc. The Triz methodology only works effectively when or if the implementers can properly assess the Dao of their object.